A donation of $150 for a scholarship to be applied in helping a girl named Mattie remain at Berry. 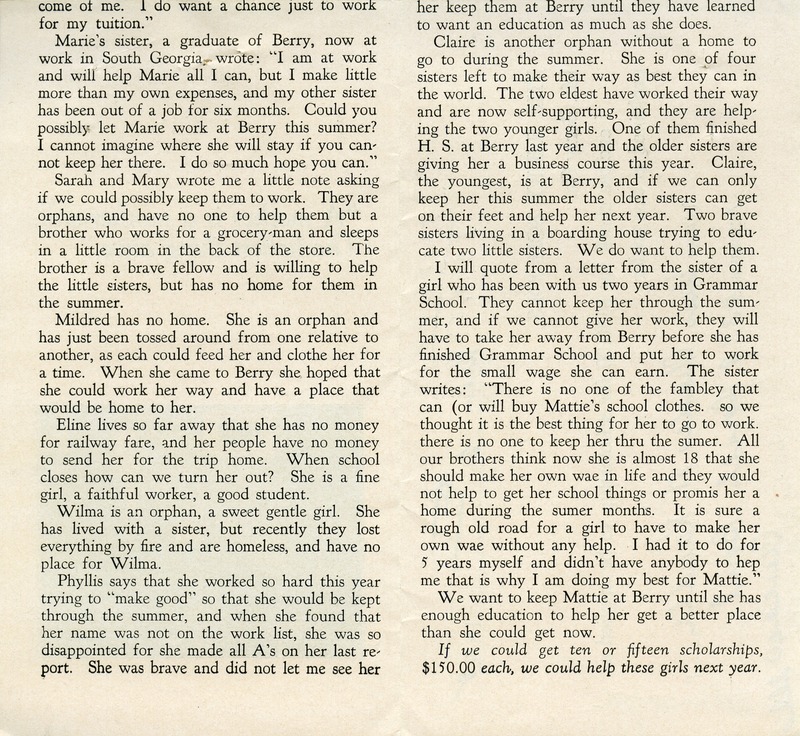 Mrs. Charles H Raudle, “To the Berry Schools From Mrs. Charles H. Raudle.” Martha Berry Digital Archive. Eds. Schlitz, Stephanie A., Cassie LaJeunesse, Savannah Harris, et al. 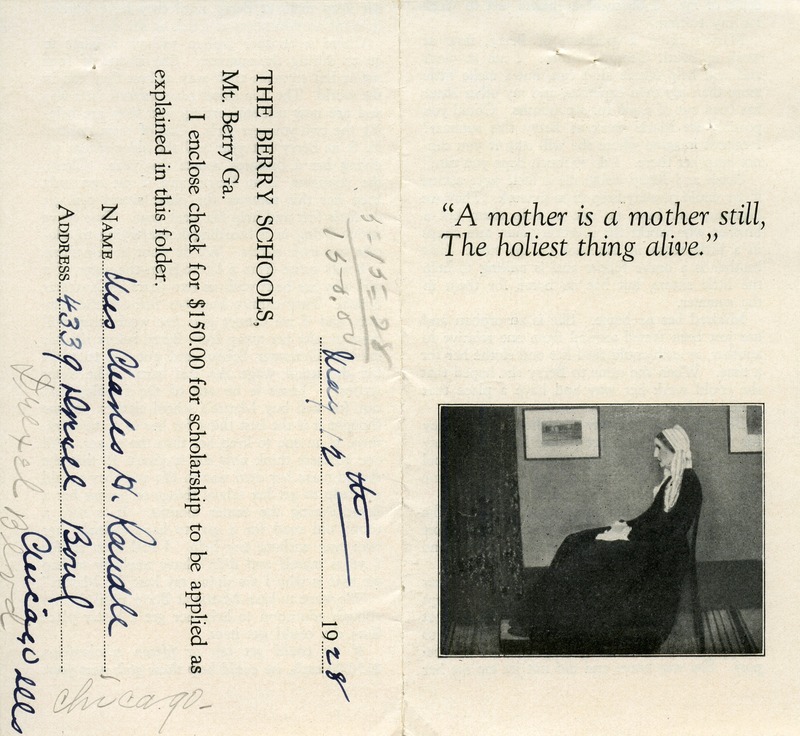 Mount Berry: Berry College, 2012. accessed April 18, 2019, https://mbda.berry.edu/items/show/8769.